New York. 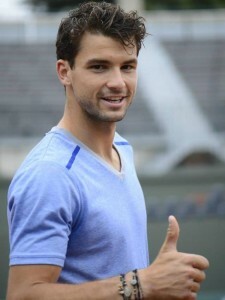 Bulgarian tennis sensation Grigor Dimitrov will face Swiss tennis royalty Roger Federer in an exhibition tournament, which will be held at the Madison Square Garden in New York. The BNP Paribas Showdown race will be held in March next year. The tournament has been held since 2008 as the first edition was attended by Roger Federer and Pete Sampras. In the race seasons have included great players from the ranks of Ivan Lendl, John McEnroe and Andre Agassi. Dimitrov, also nicknamed “Baby Federer” for his similar stlyle to the Swiss classic, has joined the management company of Federer in 2013.